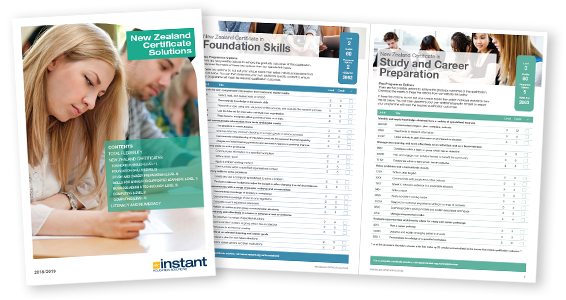 Download our new brochure to find the perfect solution for your New Zealand Certificate programme. Instant Education Solutions provides the biggest range of unit standards to give you both choice and consistency. Download the brochure or ring us on 0800 864 863 to order a copy today.